In 1937, a famous musical duo got into a silly argument via song. With today being National Pecan Day, I decided to take a poll here in the office to see how folks at CK Products pronounce the word. I showed my co-workers a picture of some pecans and asked them individually what they were, in order to hear their pronunciation of the delightful nut. Everyone said, “pee-KAHN,” with a few answering, “walnut,” throwing off the entire experiment. Does it really matter how we pronounce it? I can imagine all of our Southern readers nodding. I lived in Georgia for five years and was surrounded by people who called them “PEE-cans.” They politely corrected me whenever I said “pee-KAHNS.” Well, most of them were polite. Some people get pretty heated about the debatable nut. 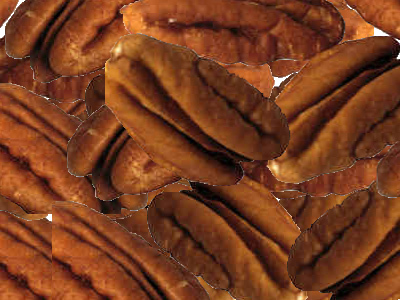 However you pronounce it, I think it’s safe to say that most people love pecans. Whether in a candy bar, a pecan pie, or the delicious flavor of butter pecan, the nut certainly brings joys to lots of people. We’re curious- what’s your favorite way to enjoy pecans?